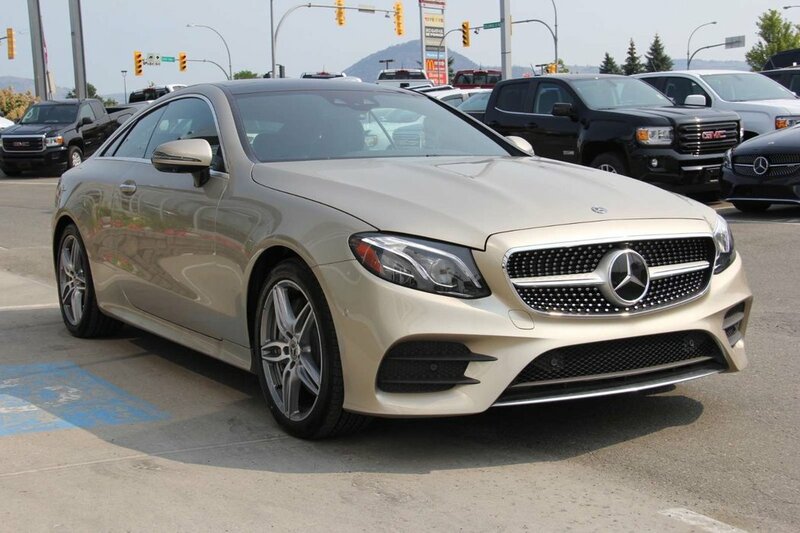 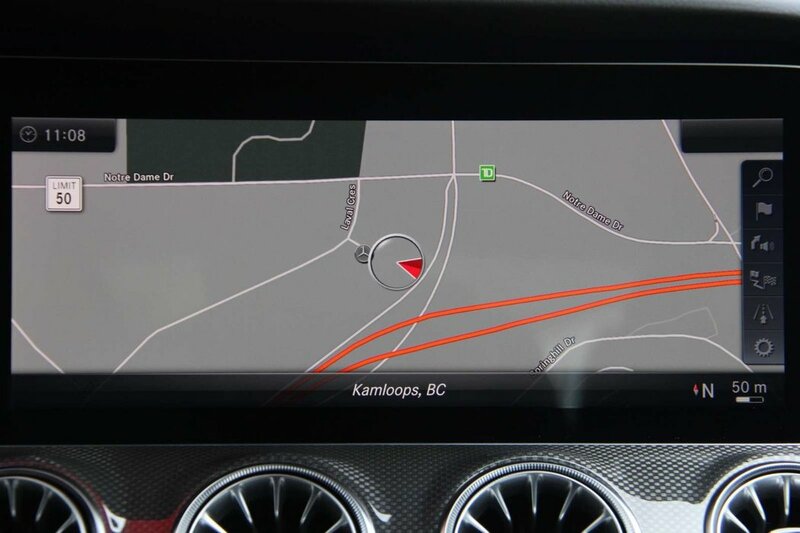 This 2018 Mercedes-Benz E400 4Matic Coupe, with an MSRP of $94,774, is for sale at Mercedes-Benz Kamloops. 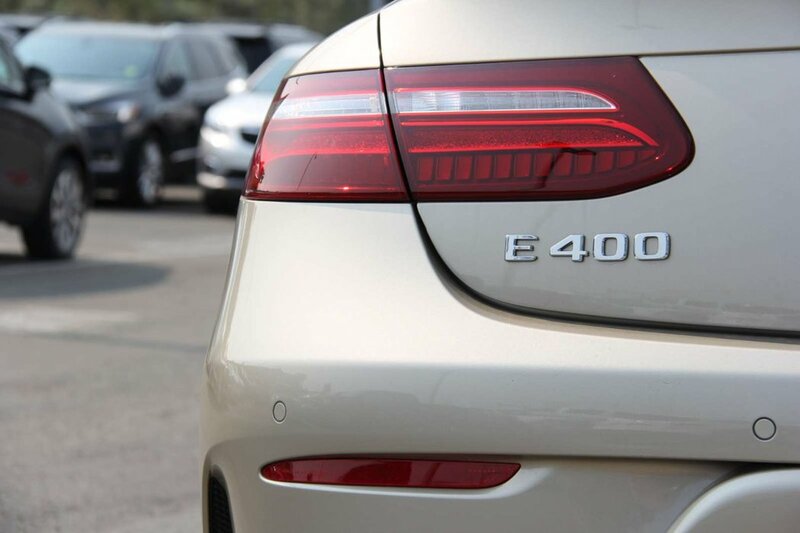 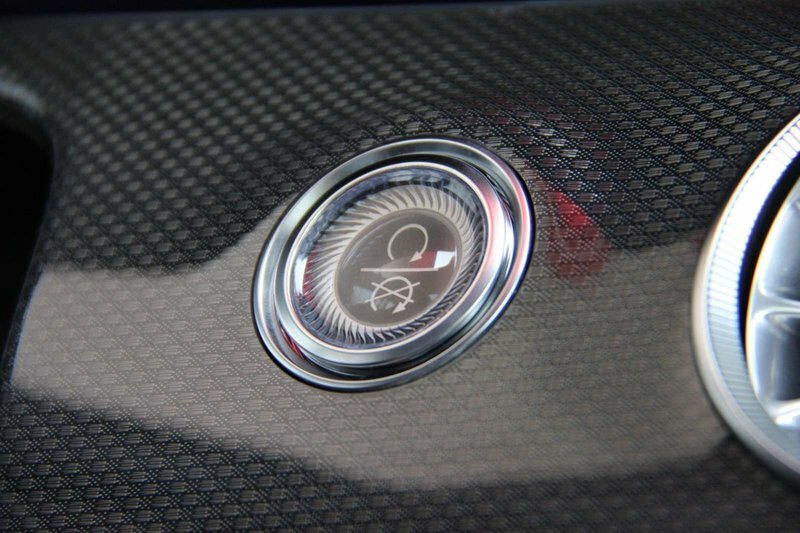 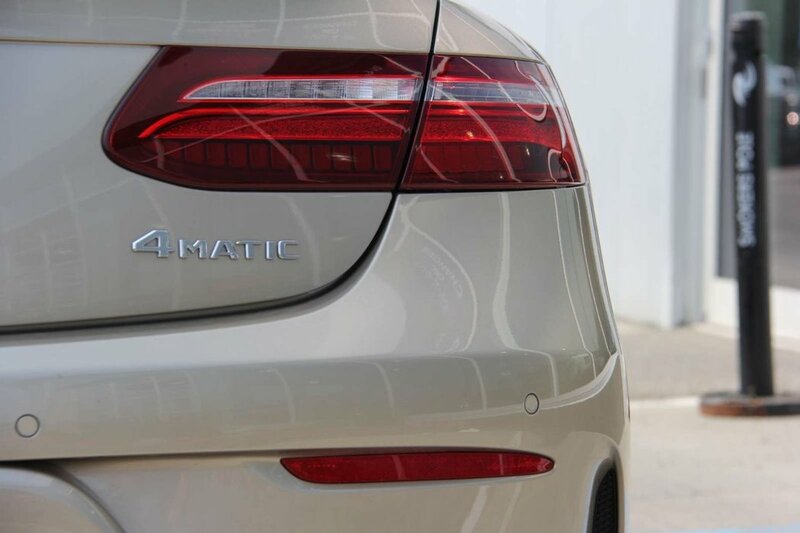 Powering this E400 is a 3.0L Bi-Turbocharged V6 Engine pushing 329HP and 354LB/FT of Torque built together with a 9G Tronic Automatic Transmission. 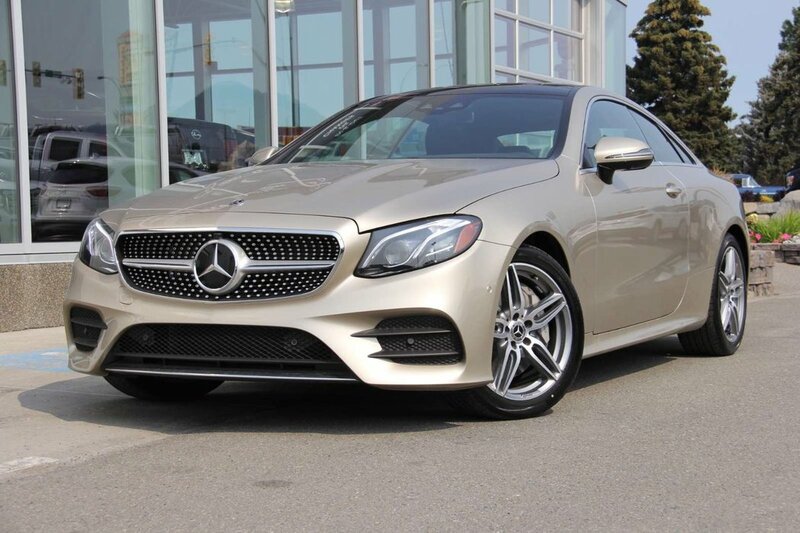 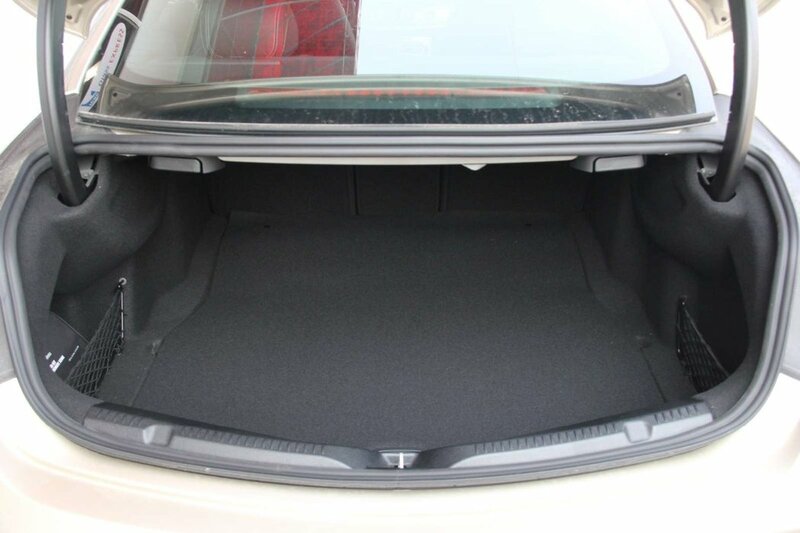 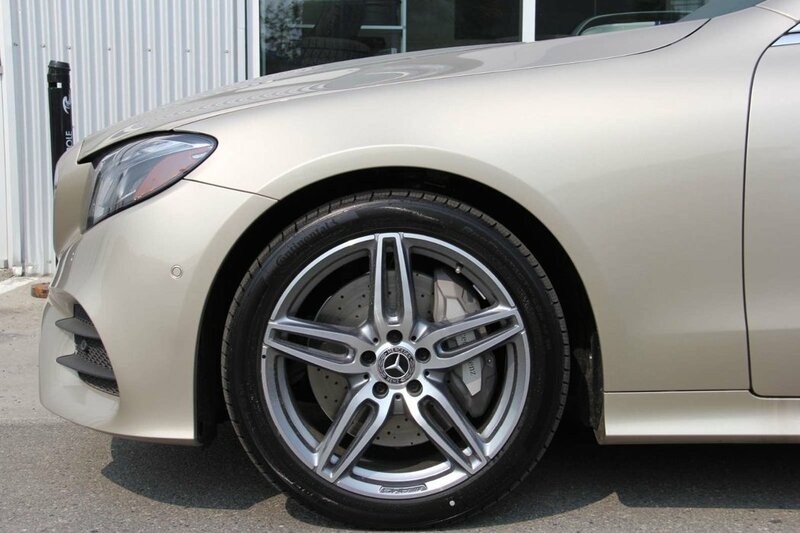 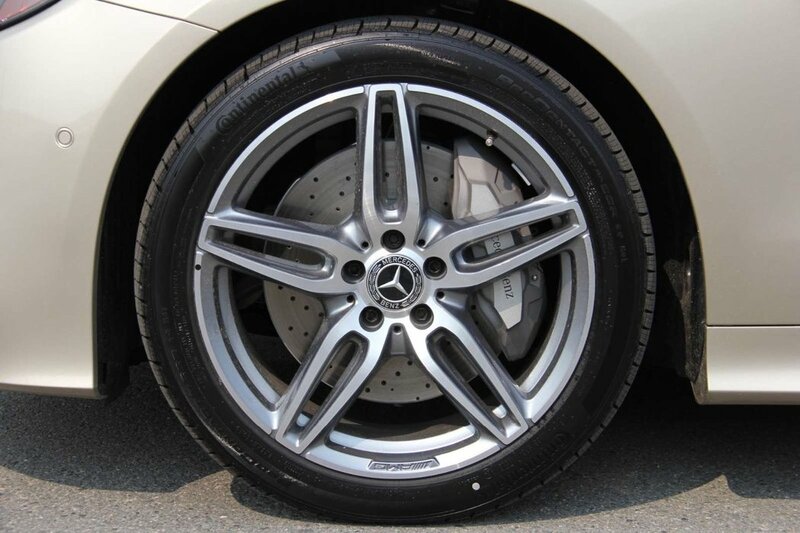 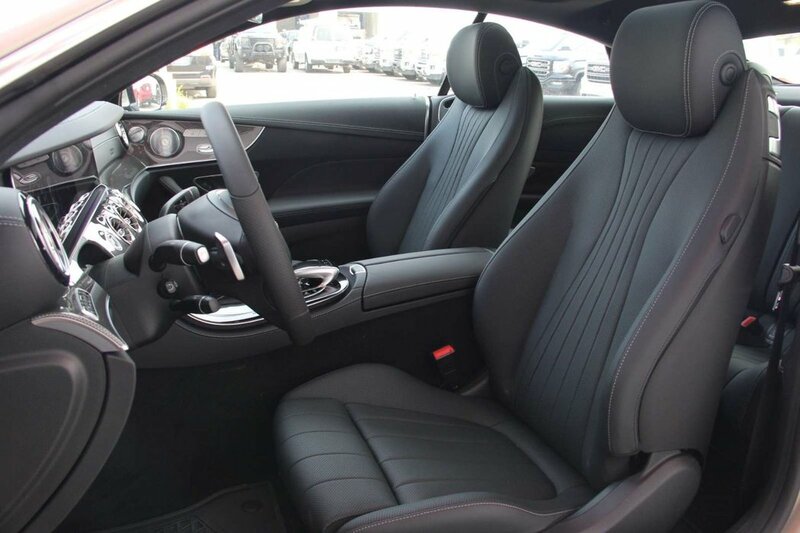 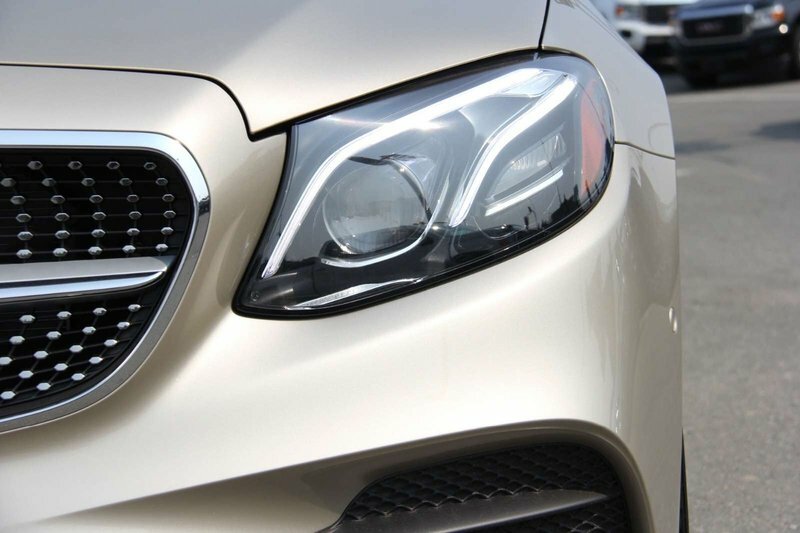 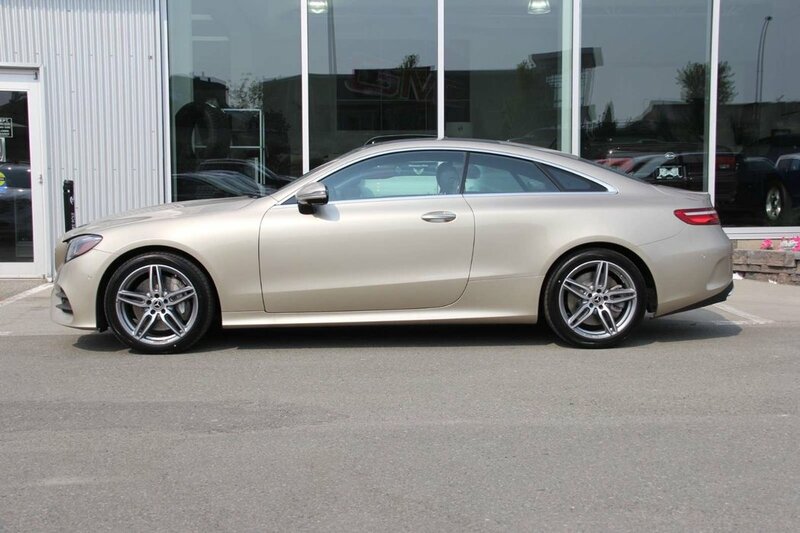 This E400 Coupe comes in an Aragonite Silver Metallic Exterior Paint Finish, and Premium Black Nappa Leather ($1,500) with a Metal Weave Interior Trim ($250). 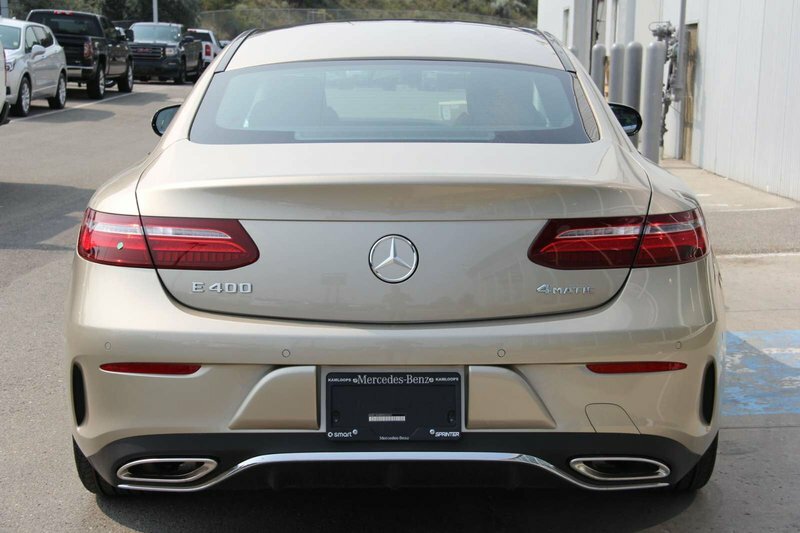 Ordered options and packages included in this E400 Coupe: *Premium Package ($4,000) - Keyless Go, Enhanced Heated Front Seats, Heated Front Armrests, 12.3” Instrument Cluster Display, Burmester Surround Sound System, Foot Activated Trunk/Tailgate Release, Easy-Pack Power Trunk Closer, Illuminated Door Sill Panels, Warmth Comfort Package. 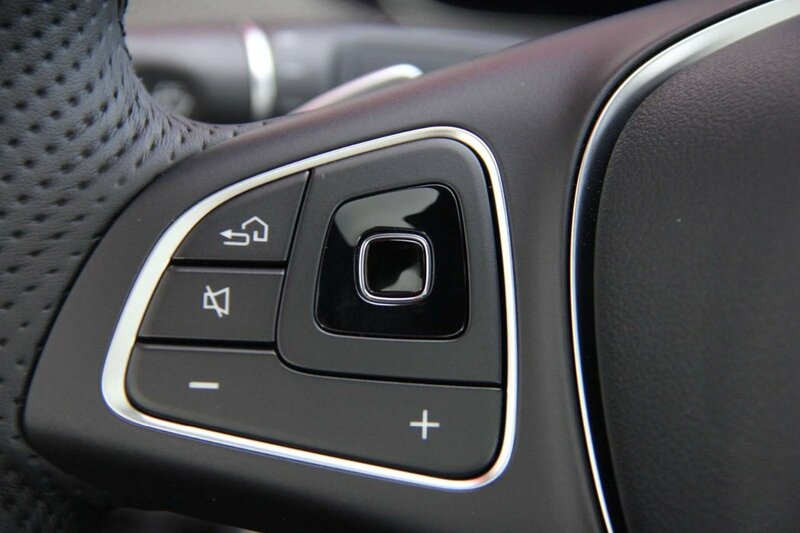 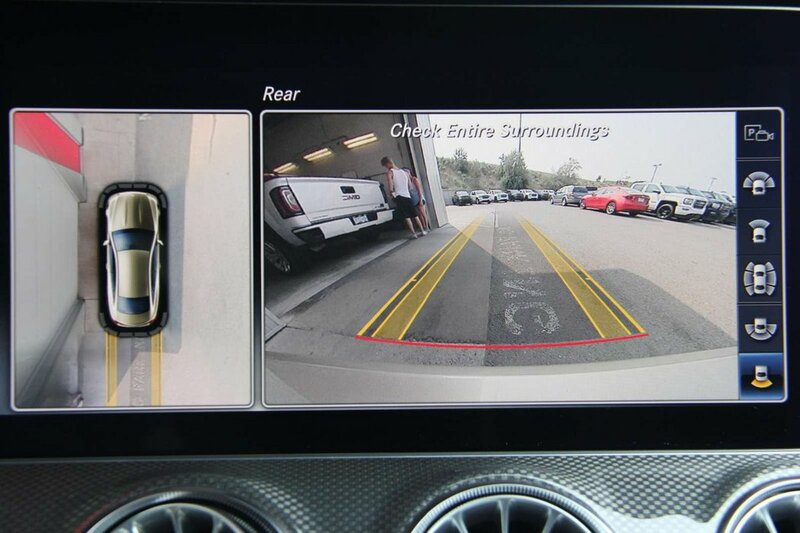 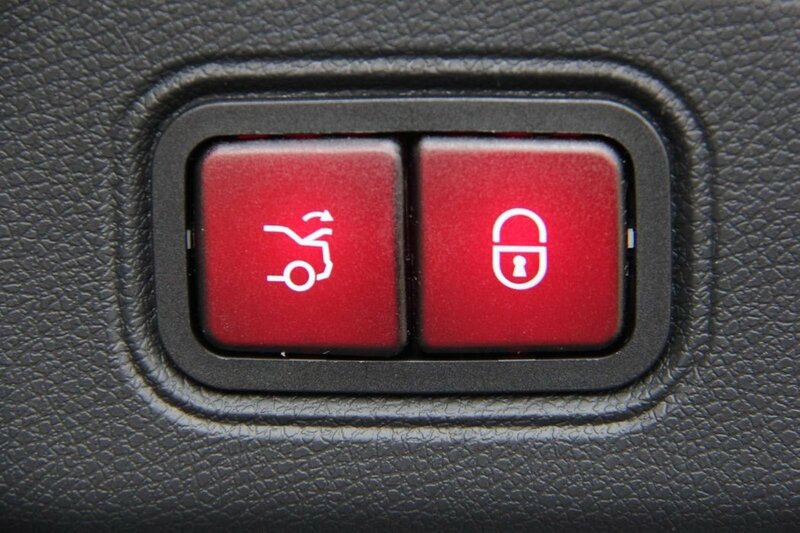 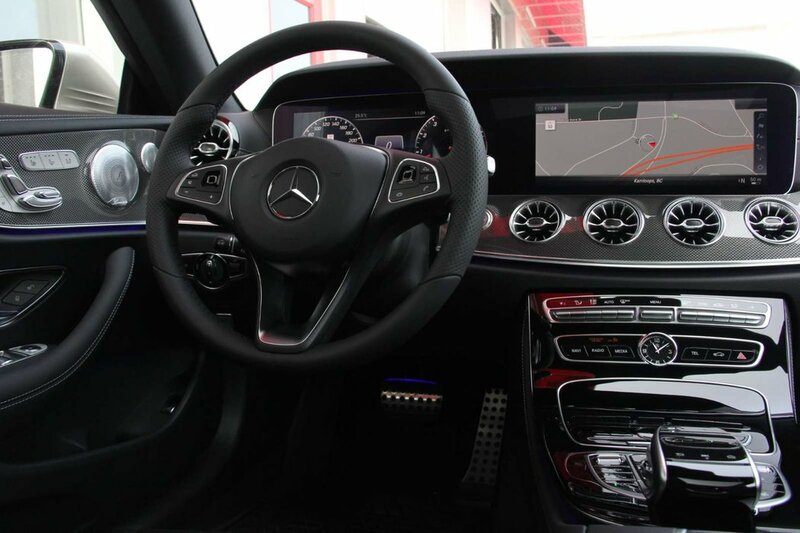 *Intelligent Drive Package ($2,700) - Driver Pilot, Advance Driving Assitance Package, Distance Pilot Distronic with Steering Pilot, Traffic Sign Assist, Active Lane Changing Assist. 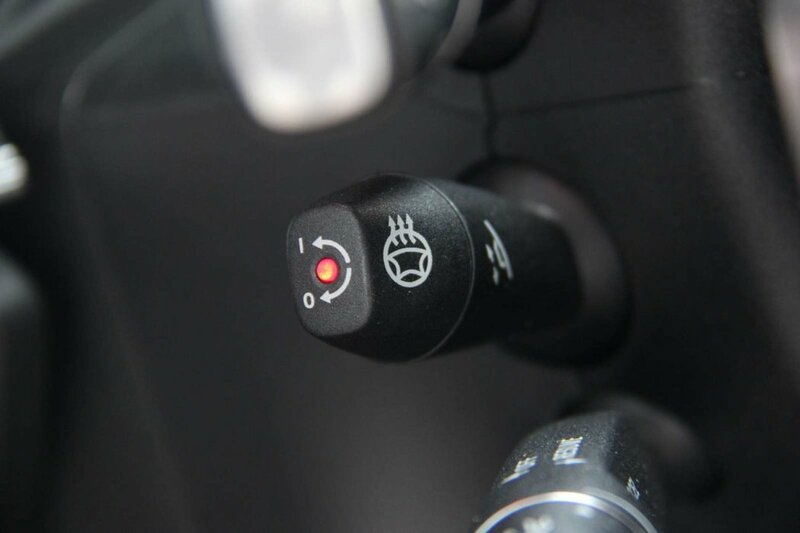 *Lighting Package ($1,000) - Adaptive Highbeam Assist (AHA), Active Multibeam Lighting System. 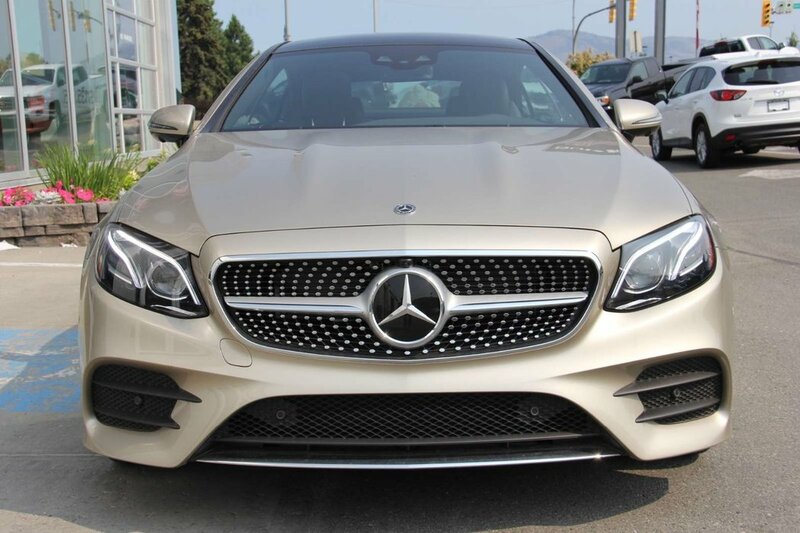 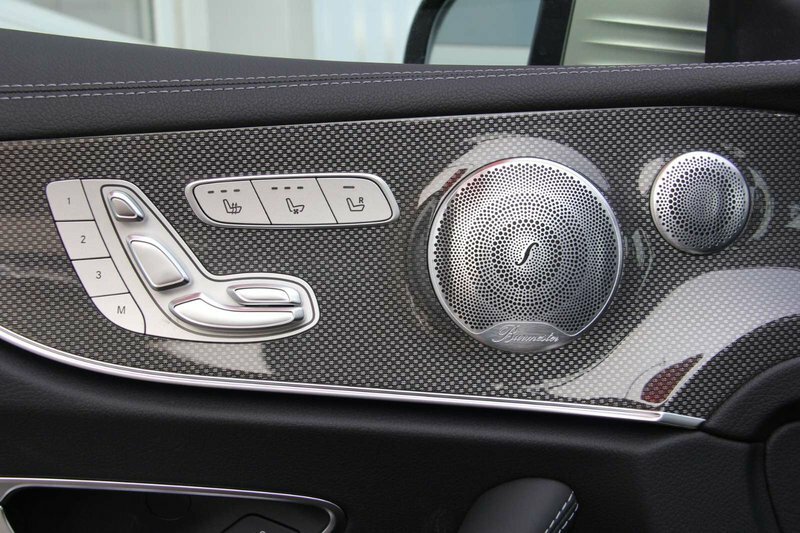 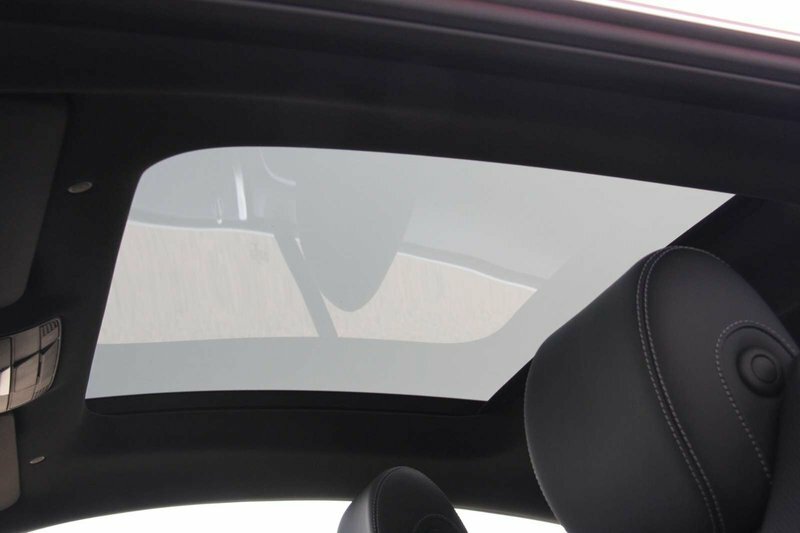 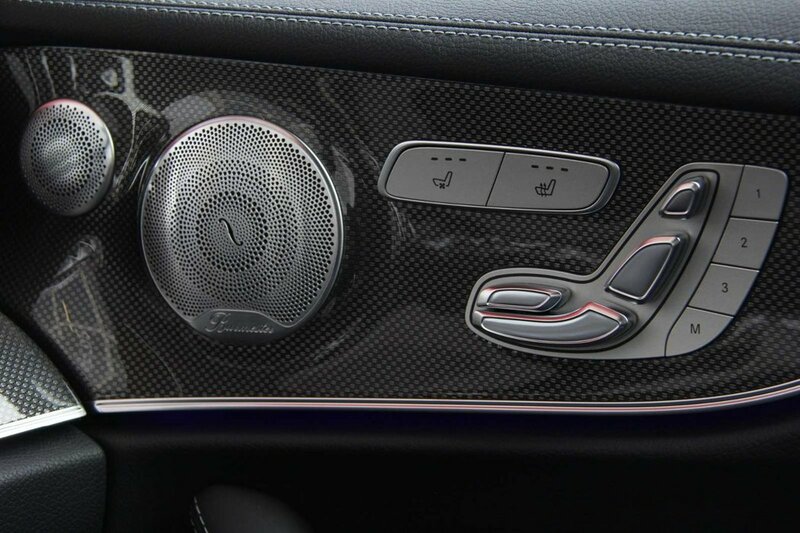 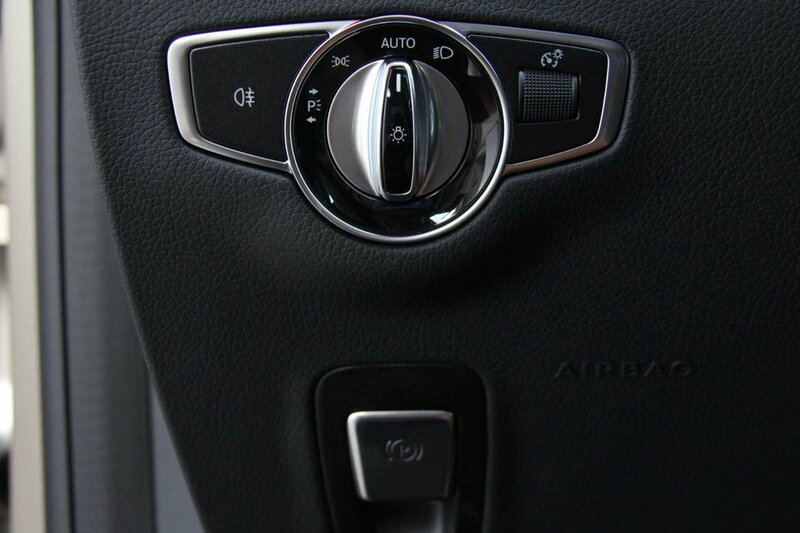 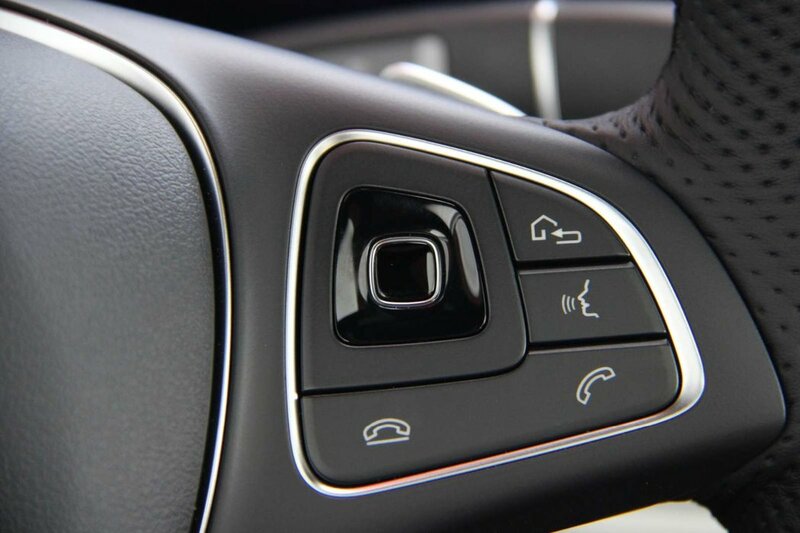 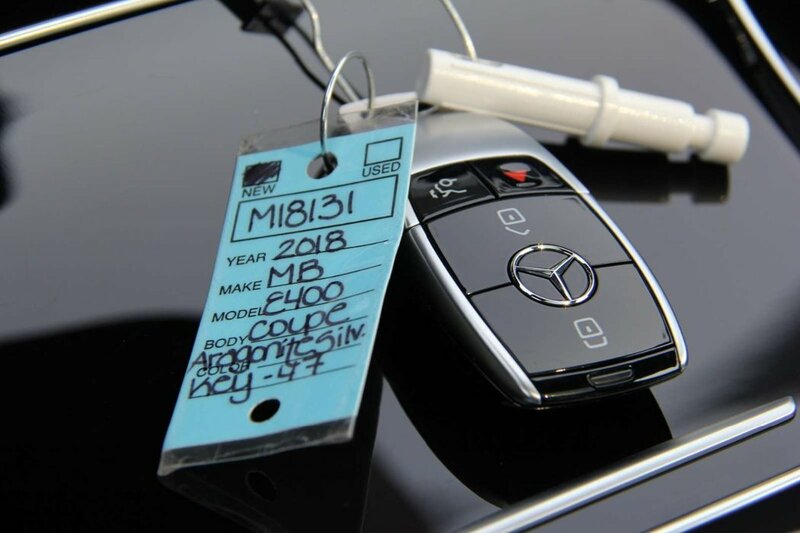 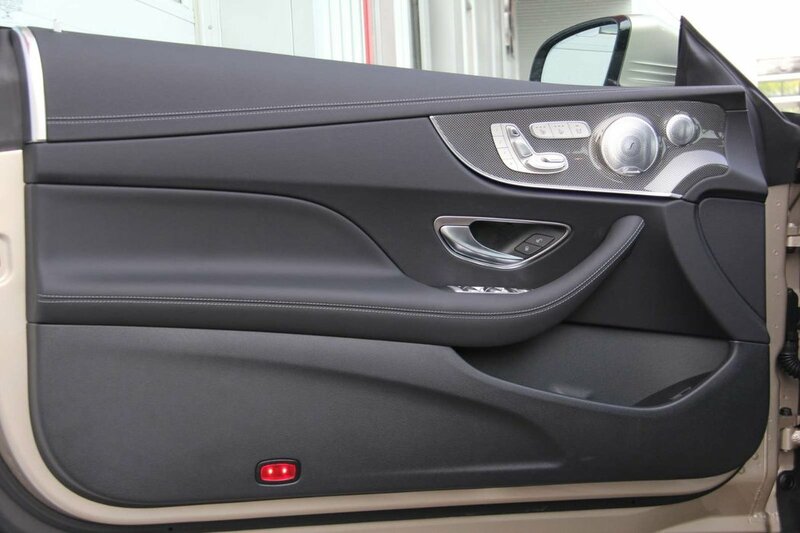 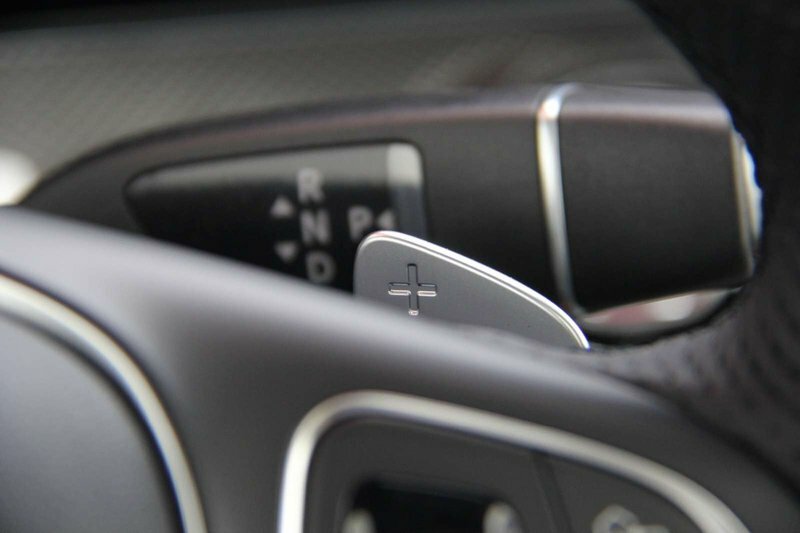 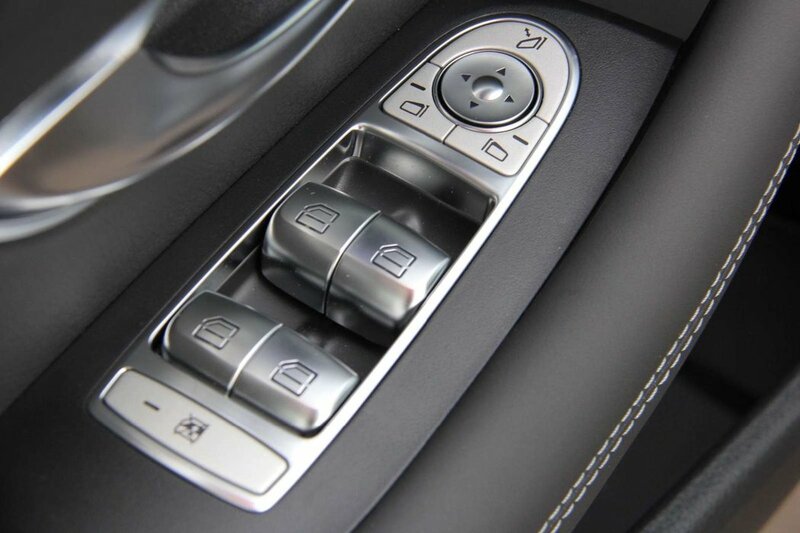 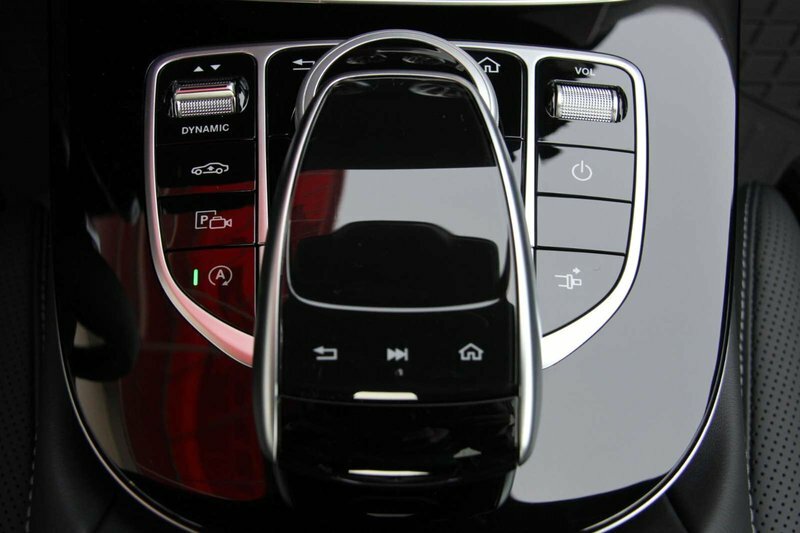 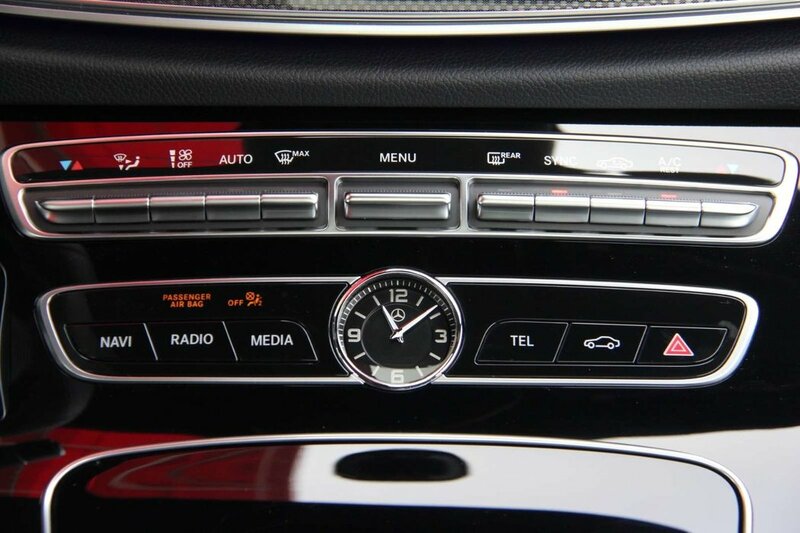 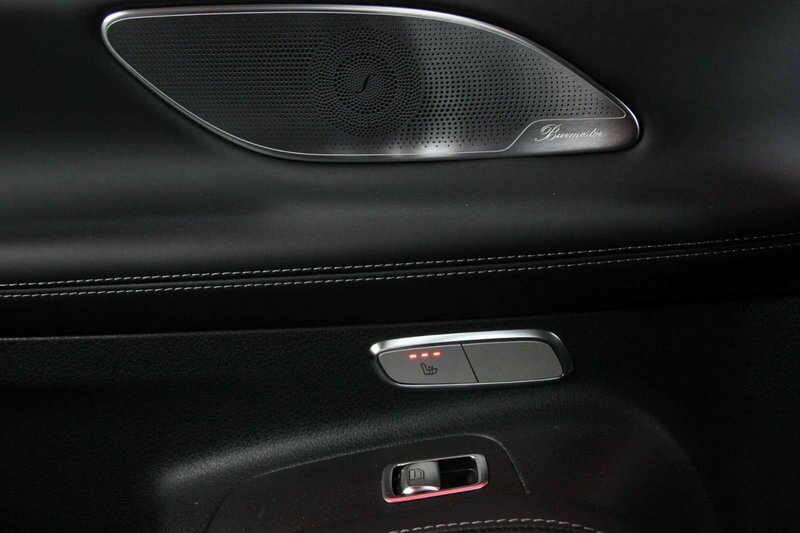 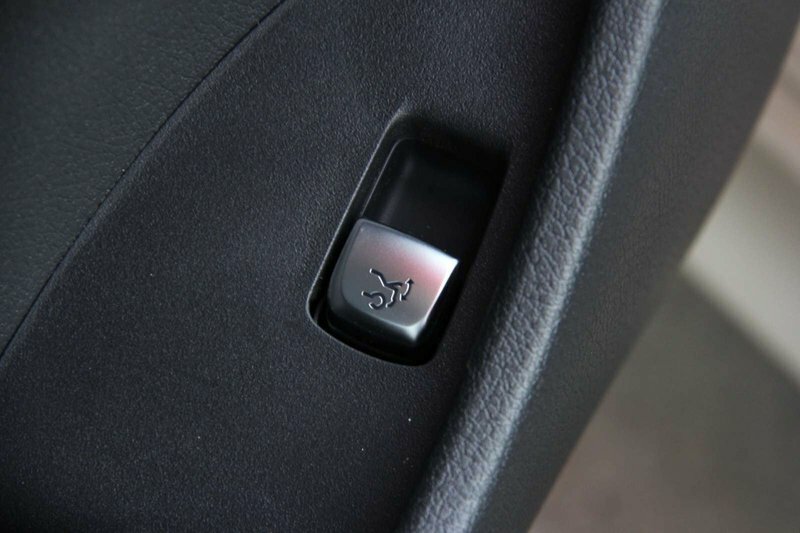 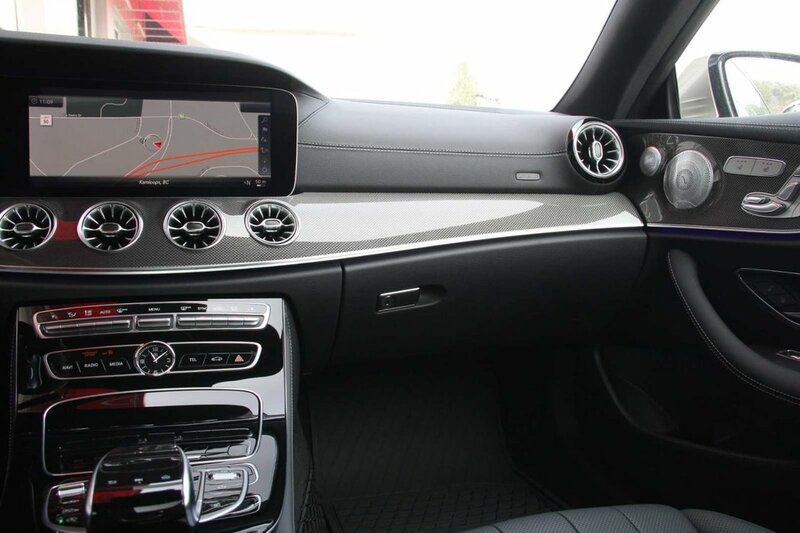 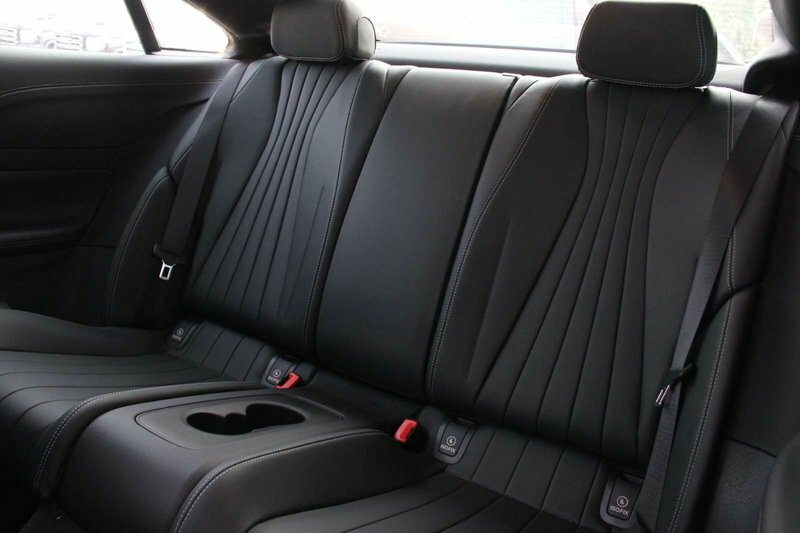 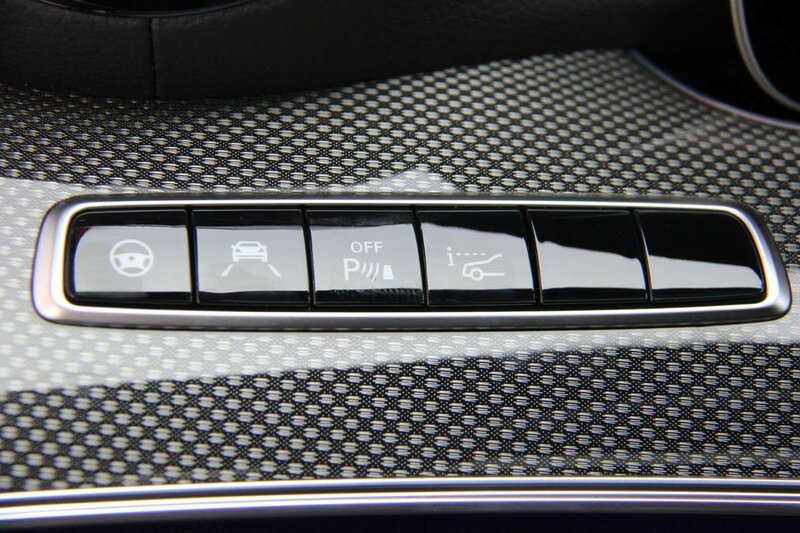 Other notable key features included in this E400 Coupe: Multicontour Front Seats with Massage ($1,500), Climate Comfort Front Seats ($1,200), Heated Rear Seats ($650), Head-Up Display ($1,500), 360-Degree Camera ($590), Heated Steering Wheel ($250), Wireless Phone Charging ($150), Air Body Control ($2,000), Air Balance Package ($500), 19” AMG Twin 5-Spoke Wheels ($500), Block Heater ($250), Steering Wheel Paddle Shifters, and Auto Start/Stop Function. 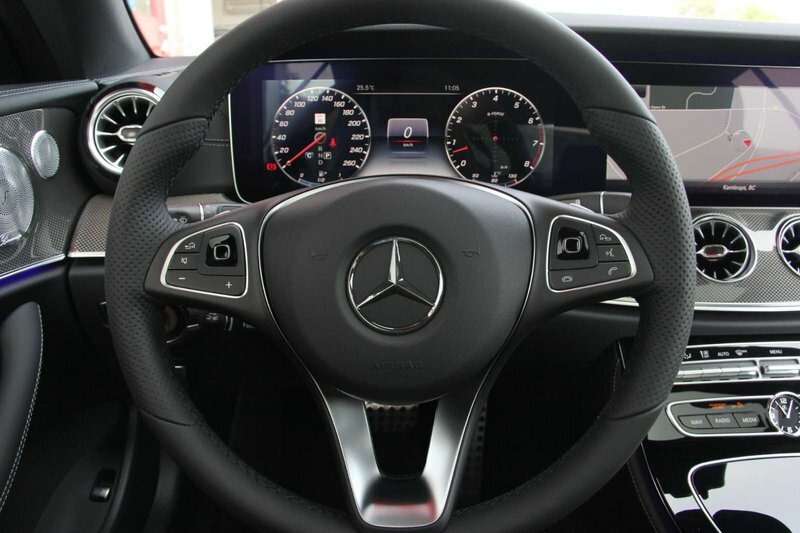 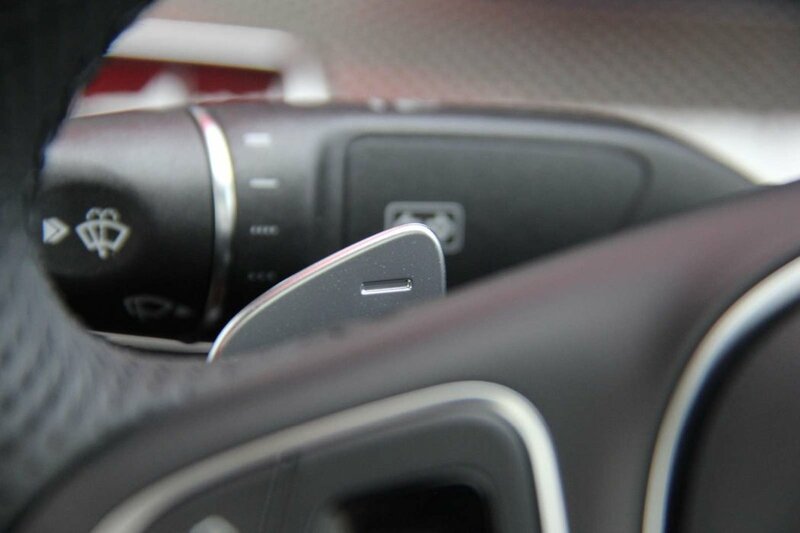 Book your test drive today with our online chat service or call one of our product experts today at 1-855-346-1885.